In which province did the Taiping rebellion begin? Taiping rebels are chased out of Yuzhuang, March 8 1854. 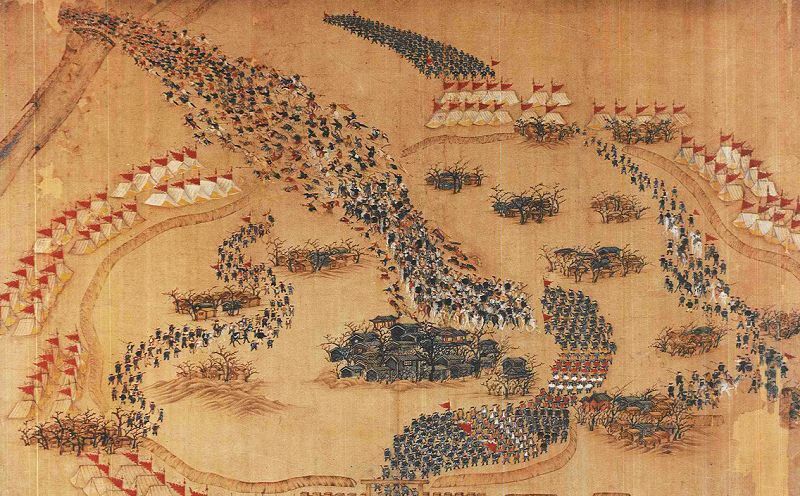 The Taiping arrived the previous day but had to retire the next day when the Manchus arrived in hot pursuit. From Ten scenes recording the retreat and defeat of the Taiping Northern Expeditionary Forces, February 1854-March 1855. Source : web site ➚ Available under a Creative Commons license ➚.